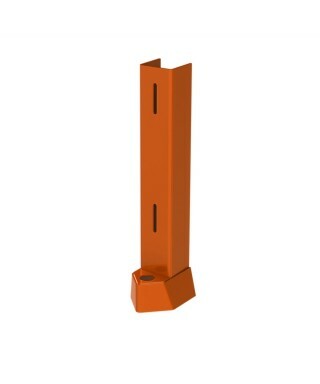 These U-shaped post protectors are bolted onto posts using two (2) 3/8" bolts. The front 2" high bullnose can accommodate a 5/8" anchor (included) which is attached to the floor. A plastic cap (included) covers the access hole for the anchor. U-shaped protectors are available in 12 and 24" heights.